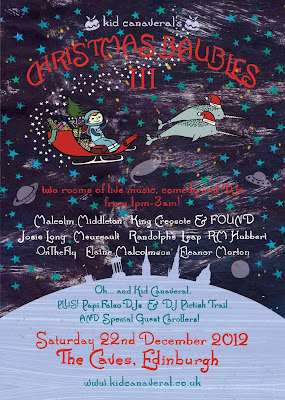 Well, incredibly, another year has apparently passed and it's already time for the third installment of Kid Canaveral's Christmas Baubles (narwhal-themed poster stuck together by the Peanut Snake elves above), another festive all-dayer featuring a rich, fruity musical mixture topped with comedy marzipan and DJ icing.. ICING = Papi Falso family DJs, DJ The Pictish Trail. Oh, and what's that gleaming coin-shaped chunk of metal you've just shattered a tooth on? Why, it could only be festive heroes Kid Canaveral themselves, feverishly unwrapping songs from their staggeringly good soon-to-be-released second album! 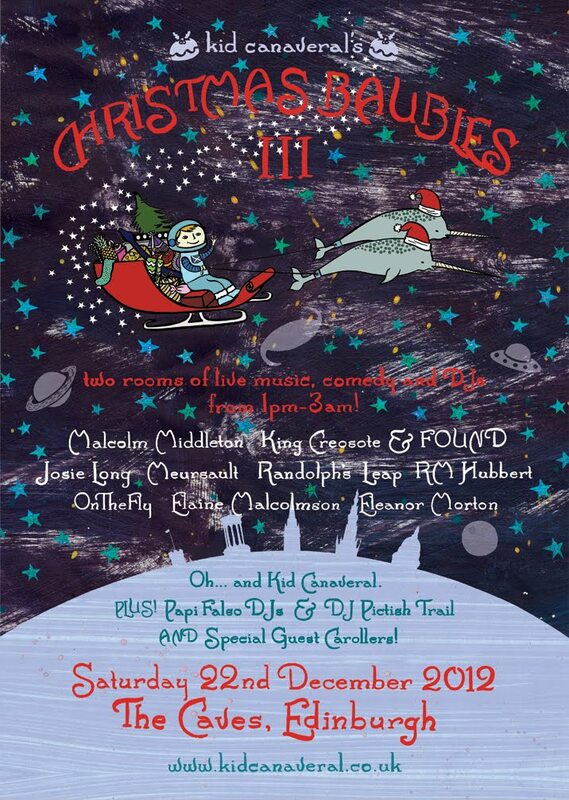 There might still be a few tickets here if you move fast, so get along, it's sure to be a CHRISTMAS CRACKER! Of a gig.